January 19, 2015 – Rocky Point Custom Homes of Calgary, AB has been awarded “Best Of Houzz” for Design by Houzz, the leading platform for home remodeling and design. This small, high-end custom home company was chosen by the more than 25 million monthly unique users that comprise the Houzz community from among more than 500,000 active home building, remodeling and design industry professionals. This has always been one of our favourite quotes at Rockypoint. 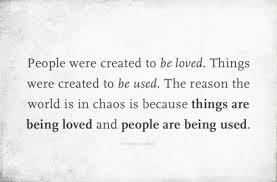 We have been lucky enough to work with many clients who feel the same way. Building a family's dream home is so much more than creating a collection of "things to use" and places to store them. A home is meant to be a safe retreat and gathering spot for the most important and special people in your life. We watch as our clients search high and low for just the right items, colours and textures to symbolize the history and personalities of each member of their family. Then, after the last tile is set and furniture piece placed, it is meant to be used, enjoyed and shared... with the people you love most. We are featured on the cover and in an article on page 40 of the August/September edition of Calgary Homes & Living magazine! Click the image below to read the digital version of the magazine! Do you ever feel uncomfortable in a room because you don't want to mark a floor or sit on a pristine couch? Are you more relaxed knowing that if you drop a jar of pickles on the floor, the dent adds to the character of your hardwood rather than becoming a catastrophic event that will forever haunt you? You may just find that imperfections are perfect for you! One of the most important lessons we have learned from touring the trendy homes in San Francisco is that imperfections are actually what gives a home character and personality. Along the same lines, we believe it's that same character and personality that is the difference between walking into a well-built house that just feels like it's "missing something" and one that truly feels like a home. The picture on the left is an extreme example where a homeowner decided to display the beauty of his historical home rather than fight against it. 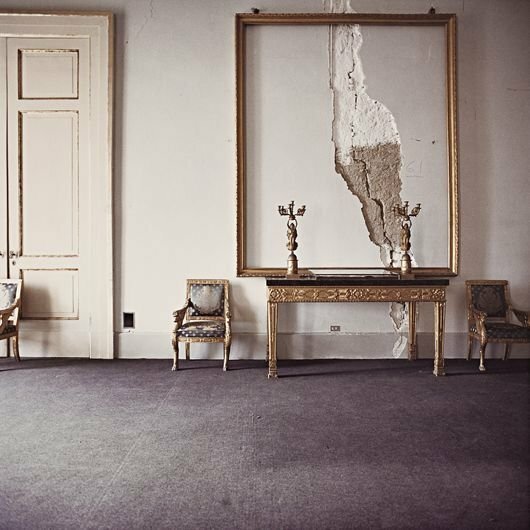 In Calgary we are less likely to come across such heritage buildings and we certainly won't be building new houses with giant cracks in the wall, but there are still many ways to embrace and enjoy imperfections in a custom home. In some of our homes we have hand-troweled clay paint on the walls, we have used recycled scaffolding planks to decorate an entire basement and we have collected old bricks to use for a bedroom wall, just to give a few examples. By working with imperfect materials that come from nature, are recycled and/or otherwise unusual, we have discovered we can create stunning spaces that give off a distinct "vibe" the minute you walk through the door. Clay paint helps to regulate humid air inside buildings by absorbing and releasing moisture naturally — responding to changes in the interior space. It's also non-toxic, mold-resistant and absorbs odours. That seemed pretty cool to us. However, it will never have the flawless shiny luster of a typical interior paint job and the texture will vary depending on how it is applied to the walls. No two walls will ever be the same... but if you scratch, ding or stain the clay wall, you can simply spray with a little water and re-work the plaster with a sponge or small trowel. That's the beauty of an "imperfect" wall. The recycled scaffolding planks and old bricks have a similar appeal in that the pre-existing markings and "blemishes" allow for the normal wear-and-tear of a family who lives comfortably in their home, but its allure is not that it's "practical" or "comfy" but that it gives the space personality, character and history; it tells a story. And maybe (because our homes are built to last 100 years) someone in the future may want to re-use some of your design innovations in their own decor! An "imperfect" space in one of our Altadore spec homes features fumed oak hardwood and an up-cycled barn door as a dining table. Perhaps our favourite material at the moment is our fumed oak hardwood floors. These floors look beautiful in a subtly rustic way and can take a serious beating. (We know because we put it in our own homes and we have multiple toddlers and dogs testing it for us every day)! Every scratch just adds to the charm of these floors, hidden by the natural grooves, striations and knots found in the wood grain. A home with a lot of character and imperfections isn't for everyone and we have built stunning homes to a level of precision and impeccability to satisfy the most obsessive of clients, but we do encourage you to at least consider the idea that some "imperfections" can, in the end, be perfect. 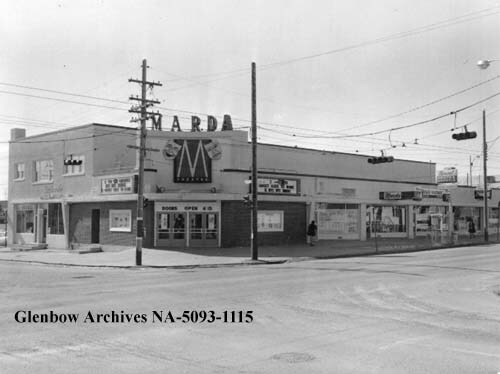 The original Marda Theatre opened in 1953 and closed in 1988. Once a turnaround point for the streetcar line and named after its Marda Theatre in the 1950s, Marda Loop is now a thriving inner-city neighbourhood hosting more than 100 diverse businesses including trendy restaurants and pubs, gourmet coffee, spas, plenty of specialty pet stores and even a scuba centre! The Marda Loop business district is found on 33rd Ave and 34th Ave SW however, the title really includes the surrounding communities such as South Calgary, Altadore and Garrison Woods. While it is considered to be a "yuppie" hang-out by some, the majority would agree that it's the families cruising the pedestrian-friendly streets towards Sandy Beach, the dog-lovers at the oversized off-leash park and the friendly business owners that give the community its warm charm. Marda Loop is also home to the annual Marda Gras Festival that takes place every August where locals and visitors alike enjoy street vendors, entertainment and a New Orleans inspired party for all ages. With Rocky Point "headquarters" located just across Crowchild in Currie Barracks, Marda Loop is one of our favourite hangout spots. We also have several completed homes in Altadore and are currently finalizing a spectacular streetscape in South Calgary (contact our president directly at: cam@rockypointhomes.com to find out more). For more information about the surrounding communities visit the official community association website or to see the directory of all businesses visit the Marda Loop BRZ website.